Virginia is still a puppy, just 5 months old. Affectionate, sweet, happy and beautiful, she has velvety soft fur perfect for burying your face in. 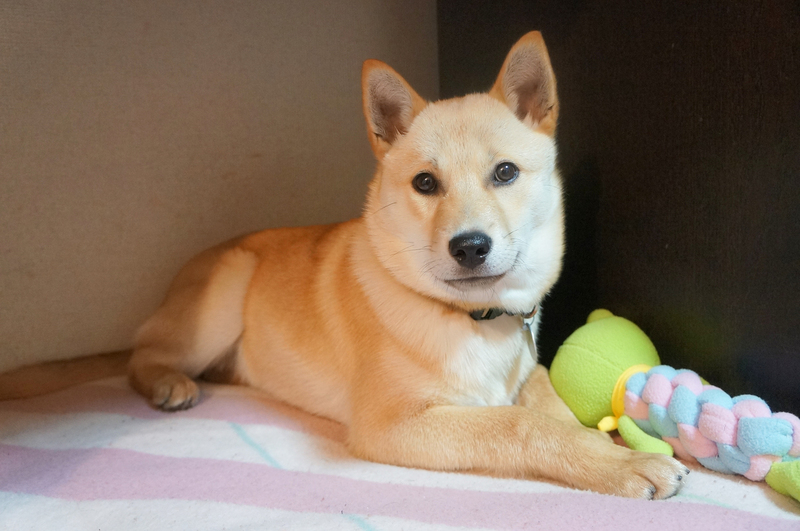 She’s a Hokkaido cross-breed with a tail that’s curly like a Shiba’s but waggy too. At still only 7 kg, you can pick Virginia up and cuddle her, which makes her world all rosy. Her soulful eyes are mesmerizing and speak of love, loyalty, devotion … and the wish for someone like her. Gazing into Virginia’s eyes could make you believe in anything, even Santa Claus, who, we have been told, “exists as certainly as love and generosity and devotion exist.” Yes, Virginia, there is a Santa Claus. And, we’re hoping your wish comes true. 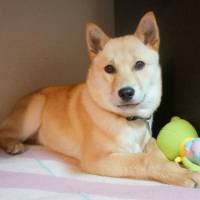 If you are interested in adopting Virginia, email ARK at Tokyoark@arkbark.net or call 050-1557-2763 Monday to Saturday (bilingual) for more information. Tokyo ARK is an NPO founded by Briton Elizabeth Oliver. It is dedicated to rescuing and rehoming abandoned animals. All animals are vaccinated, neutered and microchipped. Prospective owners are requested to undergo a screening process.